No more than 62% of farmland acquired for Special Economic Zones has been used for its intended purpose of boosting manufacturing, exports and jobs, says Prachi Salve, IndiaSpend.com. This is what Bharatiya Janata Party president Amit Shah told The Times of India on May 19, 2015, in the week that his government finished a year in office and prepared to continue the battle for a new, controversial land acquisition law. No more than 62% of land - much of it acquired from farmers - for Special Economic Zones (SEZs) has been used for its intended purpose: to boost manufacturing, exports and jobs. Most SEZs are populated with information technology (IT) and IT-related companies, while manufacturing accounts for only 9 per cent of all SEZ projects. SEZs fell short of their job, investment and exports targets by wide margins. For instance, they generated less than 8 per cent of the jobs expected. The CAG analysed a representative sample of 187 developers and 574 SEZ units spread across 13 states (Andhra Pradesh, Gujarat, Haryana, Karnataka, Kerala, Madhya Pradesh, Maharashtra, Odisha, Punjab, Rajasthan, Tamil Nadu, Uttar Pradesh and West Bengal) and the union territory of Chandigarh for the period 2012-13. 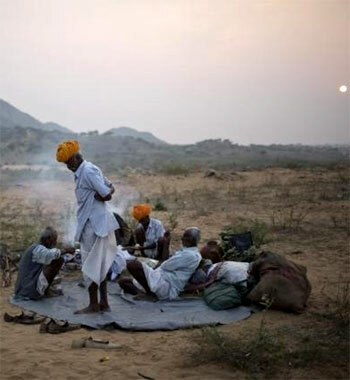 The new land acquisition bill piloted by the government of Prime Minister Narendra Modi has been sent to a parliamentary committee for re-consideration after facing opposition and accused of being against farm interests. The government’s argument is that India needs to fast track the bill, so that land can be made available for industries—to generate employment and power economic growth. SEZs were created with motives similar to those expressed by the government. What happened to these zones? The Special Economic Zone Act of 2000 was introduced (enacted in 2005) to make SEZs growth engines. An SEZ is a specifically delineated duty-free enclave, deemed foreign territory for the purpose of trade operations, duties and tariffs. The previous United Progressive Alliance government cleared 576 SEZs covering 60,375 hectares, of which 392 SEZs covering 45,636 hectares were notified (approved land) till March 2014. Of the 392 notified zones, only 152 are operational (28,489 hectares). The land allotted to the remaining 424 SEZs (31,886 hectares) has not been put to use (52.8% of total approved SEZs), although approvals and notifications in 54 cases date back to 2006. Employment fell short by 93%: SEZs generated 0.2 million jobs instead of 3.9 million. Investments fell short by 59%: SEZs were to attract investments of Rs 194,662.5 crore ($36 billion); no more than Rs 80,176.3 crore ($14.8 billion) was invested. Of 625 approved projects, only 152—or 24% of approved projects—were operational, the CAG said. Almost 56 per cent of approved projects are from the IT sector, while 9 per cent are multi-sector (manufacturing) SEZ units. While 59 per cent of the operational SEZs are in the IT sector, only 8.5 per cent are from the manufacturing sector. “The large number of IT/ITES SEZs coincides with the expiry of the ten-year income-tax break period allowed to IT sector under Software Technology Park Scheme which gave a fillip to the sector. Several units closed and shifted to SEZs to avail of the benefits offered in SEZ area,” the report said. Of 392 notified SEZs in India, 301 (77 per cent) are located in states regarded to be developed. Andhra Pradesh (now bifurcated into Telangana and Andhra Pradesh) has 78 units, followed by Maharashtra (65), Tamil Nadu (53), Karnataka (40), Haryana (35) and Gujarat (30). A key reason for the uneven spread of the SEZs across the states, according to the CAG report, was the absence of single-window clearance in many states. This led to approval delays. Prachi Salve is a policy analyst with IndiaSpend.